Dobropilia was the hardest city. 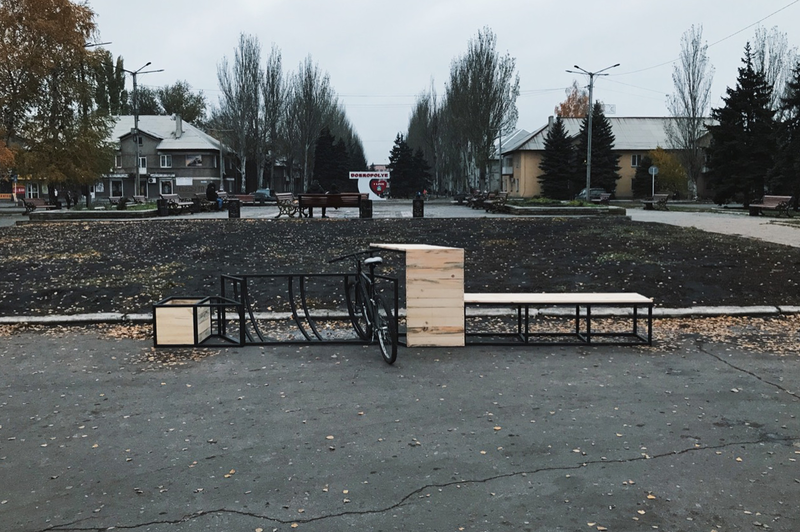 Ten people over the course of ten months tried to approach this city from different directions, work in the field, workshops with local, infinite number of meetings, and as a result, a week before our hometown, there is nothing for us to implement. We understood that we would not be able to build anything and generate something on the move that was not considered correct. Therefore, we chose another format of work in the city. We decided to work as much as possible with local people and download their skins to work with public spaces. 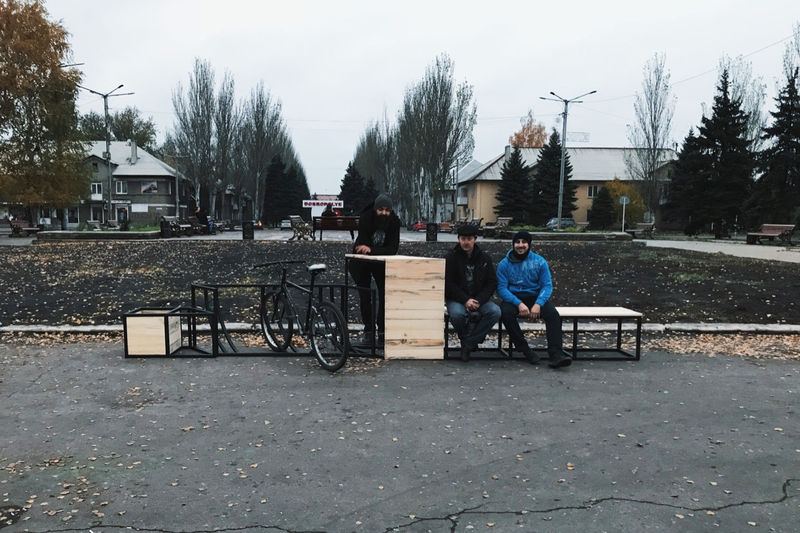 We decided to hold an intensive for young urbanists and urban planners for street furniture design. An unexpected audience came to the introductory lecture. There was a couple of young men among whom Valera was the weakest, and a whole team of very active and punctuated women who are fondly interested in the accomplishment of the territory under the jurisdiction of their condominiums. We were amazed at the openness of these people. practically every word and recommendation they seized on the fly and very correctly mastered everything that we told them. 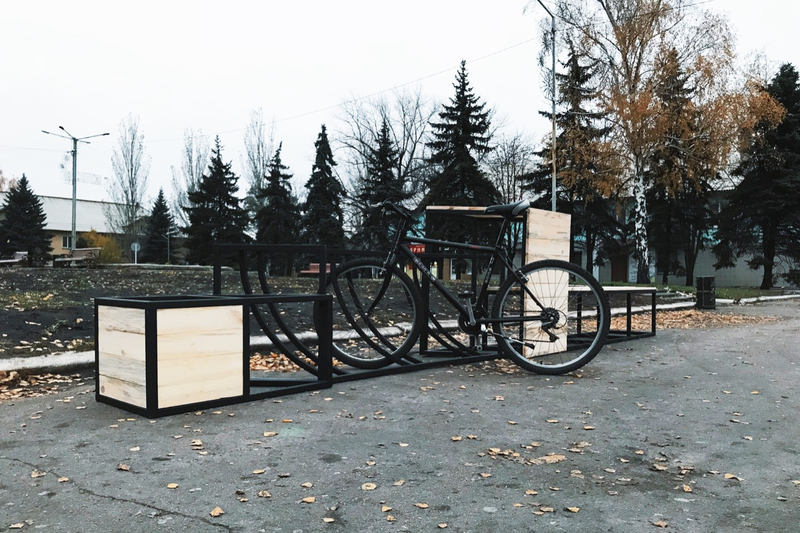 In the process, we realized that the theme of street furniture is too simple for this audience and you need to do something more global. 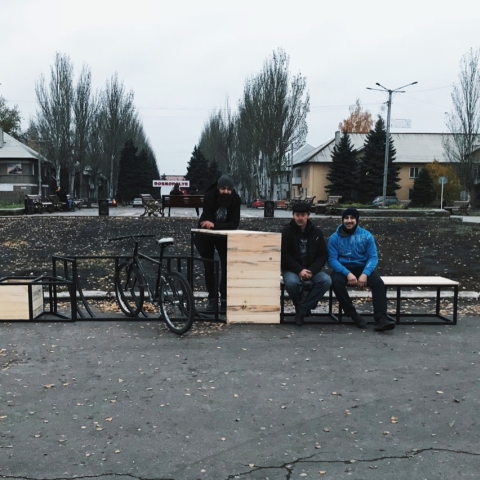 We developed 3 Urban Intervention Projects and spoke in detail all the nuances of what these projects could be well implemented in the spring. 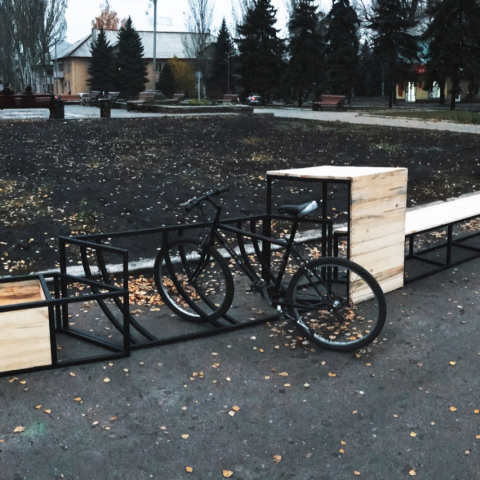 One such project was cycling. We chose this project for implementation in Dobropilly as it meets the requirements of the project that we could realize in two days that we stayed in place and make this product of high quality. 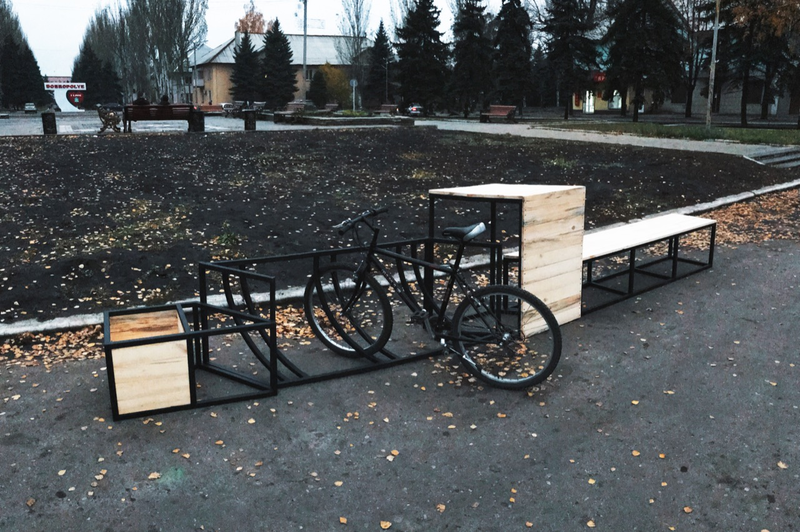 We thought it was not interesting to do a single bike park and decided that it would be much better to make a project that can be replicated with the optimization of production and the cost of the final product. 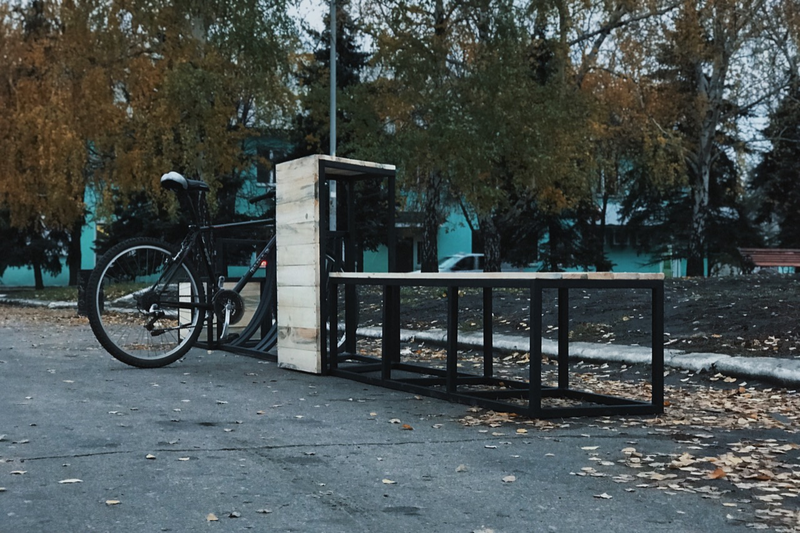 Also, in order for the project to be more versatile, we have decided to develop a number of modules that can be combined in different ways depending on the situation. 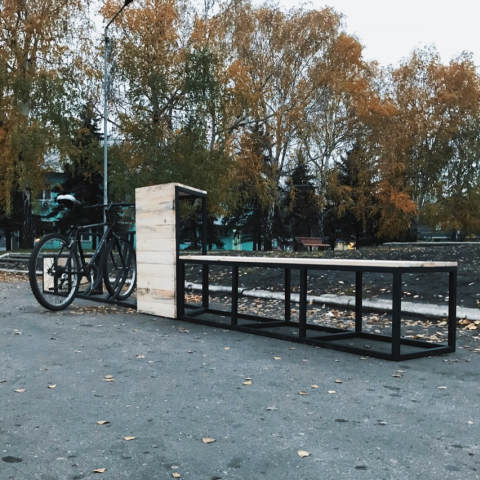 As a result, we got 5 modules (repair station, club, cycling park, bench and small table). The implementation process was very interesting. In the workshop were filled three. 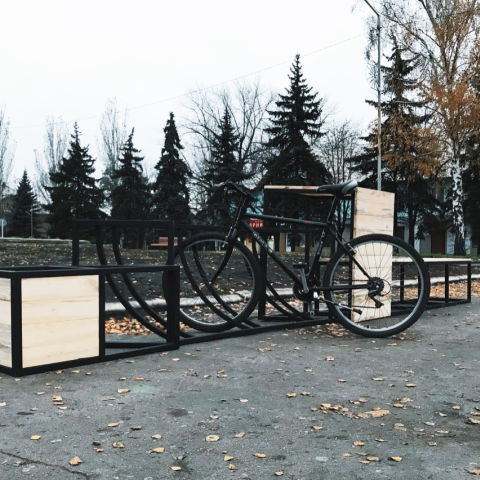 architect, welder Valera and cyclist Valera. These three components did not work smoothly at once. The architer bent his line of aesthetics, the welder wanted the most rational production and cyclist comfort for a bicycle. As a result of working together at night, we have come to a good consensus where production, aesthetics and functionality were taken into account as much as possible. For incomplete two days, we made 4 modules and a little did not have time to repair the station but are sure that the valiers will complete them necessarily. 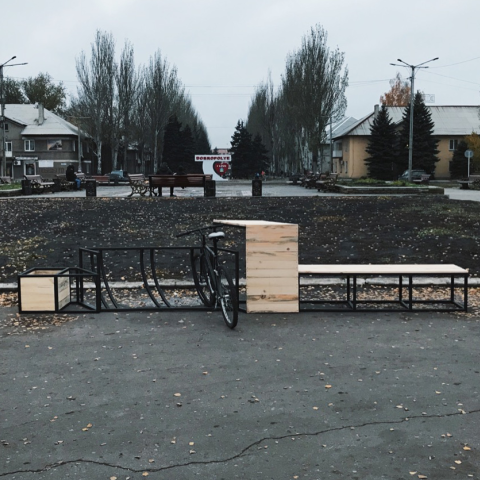 Now we are preparing drawings for what would be possible to replicate this bike park in other parts of the city and possibly even in other cities. Time will show. 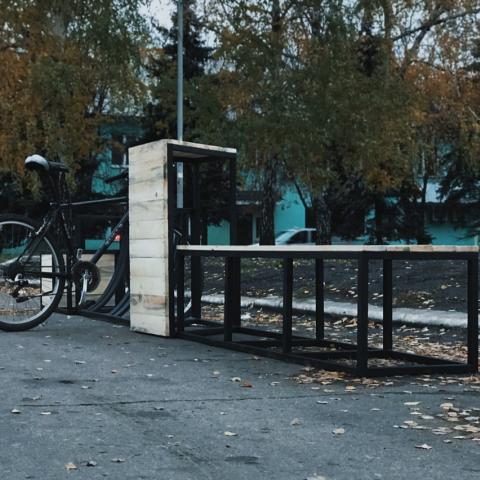 With this project we complete the cycle of implementation of urban spaces in the project Metamizsto.Shod. 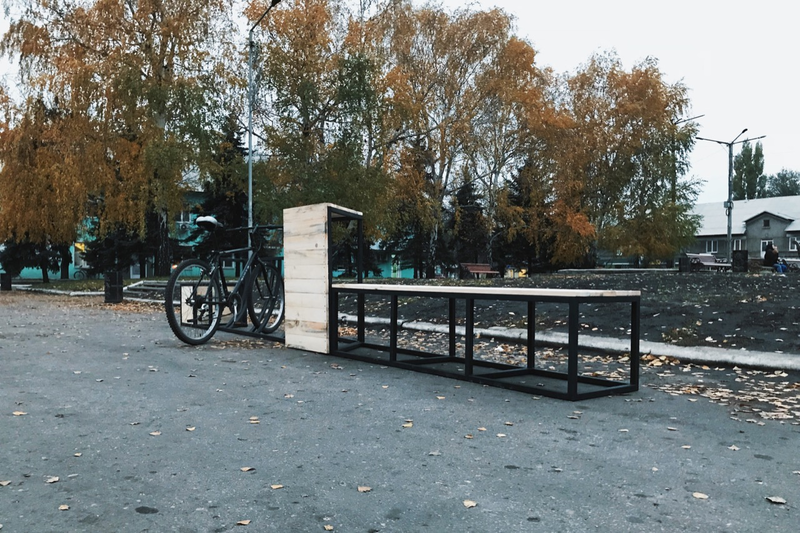 and are very pleased to have taken over the theme of cycling infrastructure by further expanding the scope of experience working with the city's expanse.